It’s always remarkable when a little change can have a big impact on our health. According to a review study, making a small addition to your diet could help lower your blood pressure. Even better, other studies have found that this same tweak benefits your cholesterol. As you may know, having high blood pressure and high LDL cholesterol puts you at greater risk of cardiovascular disease and other illnesses. Researchers have recently honed in on flaxseed and flaxseed oil as a great source of alpha-linolenic acid (ALA), fiber, and lignans. All of these can have a positive influence on blood pressure. So a team decided to review studies investigating the effects of consuming flaxseed on blood pressure to see if the existing studies were reaching a consensus. They reviewed a total of 11 studies consisting of 14 trials. Sure enough, the analysis found that flaxseed consumption did indeed lower both systolic and diastolic blood pressure in the participants of these studies. In particular, the flaxseed seemed to help the most when the participants consumed it whole for at least 12 weeks. Another study, published in Applied Physiology, Nutrition, and Metabolism, found that daily consumption of flaxseed reduced total cholesterol by 6-11% and LDL cholesterol by 9-18% in participants who had normal lipid profiles. For participants who had high cholesterol to begin with, the flaxseed lowered total cholesterol by 5-17% and LDL cholesterol by 4-10%. 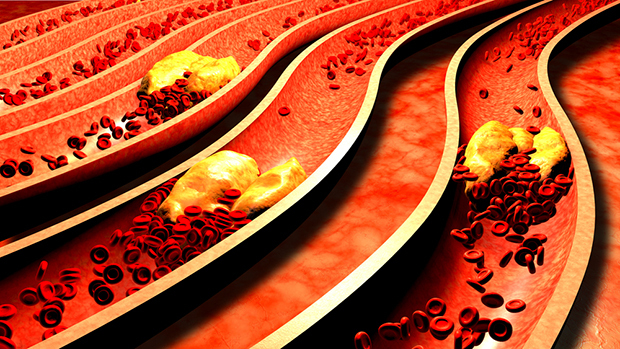 It also lowered their markers for atherosclerosis and overall cardiovascular disease risk. The fiber and lignans in flaxseed help to lower cholesterol, while the omega-3 fatty acids found in ALA have anti-inflammatory effects. These combine to help protect you against heart disease and even promote your blood vessels’ ability to relax. We know that one of the best ways to help prevent heart disease is to eat a diet low in processed foods and trans fats. We also need to eat monounsaturated fats and omega-3 fatty acids, including ALA or alpha linolenic acid. You can find ALA in flax seeds, flax oil, and walnuts. But you don’t have to consume much flaxseed to gain these great benefits. Try sprinkling a tablespoon or two over oatmeal or a salad. Or you can mix it into a smoothie or the batter of baked goods for fiber and a nutrient boost. J Nutr. 2015 Apr;145(4):758-65. doi: 10.3945/jn.114.205302. Epub 2015 Mar 4.